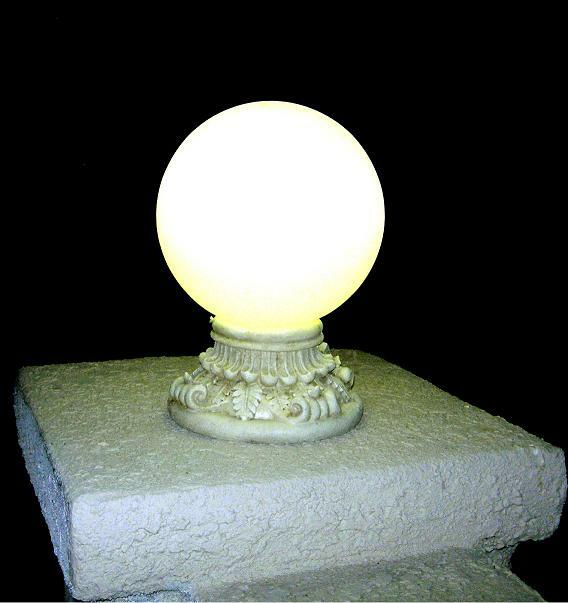 This beautiful handcrafted 10" frosted glass globe solar patio light would be great for highlighting your entranceway without running electrical wires. 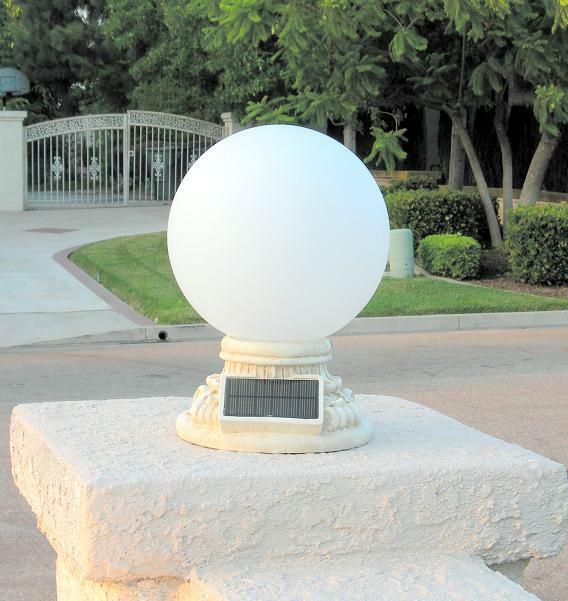 This solar light can easily be installed on stone pillars, gates, posts and pedestals or table top. Each solar globe light is illuminated by 9 white LED, which emits super bright incandescent light and powered by high efficiency solar panel integrated with an advanced charging system to maximize brightness. This solar globe light will automatically illuminate at night and stay lit for up to 10 hours depending upon how long it was able to charge in the sun during the day.